Percy Melvin Kelson was born on August 20, 1962, the second to the oldest son of Melvin Kelson, Sr. and Oralee Walker Kelson. He transitioned to his heavenly home on Monday, January 21, 2019. Percy was born in New Orleans, LA, where he attended John McDonough High School. He graduated from Southern University and A&M College, Baton Rouge, where he earned his Bachelor of Arts Degree in Mass Communications with honors. 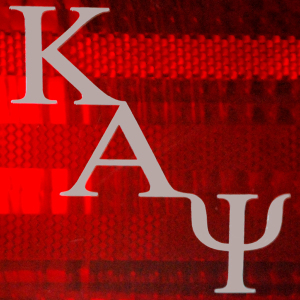 He was a proud member of the Kenner Metropolitan Alumni Chapter of Kappa Alpha Psi Fraternity, Inc. and Kappa Kappa Psi National Honorary Band Fraternity. Percy accepted Jesus Christ as his Savior and Lord at an early age and trusted Him until his last breath. Before relocating to Dallas, he was an active member of Franklin Avenue Baptist Church, New Orleans, where he served with zeal in the Male Chorus and Men’s Ministry. In 2002, Percy met Lenora, his loving wife who he affectionately called ‘Sweetie’. The two were married in April 2003. They relocated to Dallas in 2005 after Hurricane Katrina. 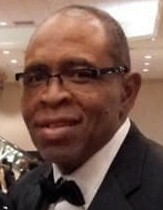 In search of a new church home, he was lead to join First Baptist Church of Hamilton Park, Richardson, where he was ordained and served on the Ministerial Team and sang in the Male Chorus and Yokefellows. Later, the Lord led him and Lenora to North Dallas Community Bible Fellowship, Plano, where Percy again gravitated to what he loved, Men in Worship and Men’s Monday Night Bible Study. After experiencing a shift, Percy later joined Rockbridge Church, Allen, and remained a member there until the Lord called him home. Percy loved the Lord and the fellowship of his brothers and sisters in Christ. He cherished the years he worked as a Traffic Coordinator for Cox Cable, New Orleans, Traffic Manager for WCKW-FM Radio, New Orleans, and Traffic Manager for UPN-TV start up, New Orleans. He also worked for Aaron Rental, Nextel, and Bon Marche Furniture & Appliances in New Orleans and Southwest Credit Systems and Optum in Dallas. Percy also lived in St. Louis, MO, for a short time. He loved reminiscing of his many years of playing musical instruments, especially playing the baritone horn in Southern’s marching band which is known as the ‘Human Jukebox’. Upon meeting others, he quickly and proudly shared that he was a part of this elite group of high stepping musicians. While there, he had the privilege of participating in the inauguration parade for former President Ronald Reagan, the XV Super Bowl, the 1982 Sugar Bowl, and the Rose Bowl. Percy bled blue and gold (Southern) from his right side, and although he had not been active for years, crimson and cream (Kappa) from his left side. He also enjoyed talking to people. No matter where he was, Percy would always find a friend. Lenora recalls a beautiful afternoon in 2013 at Fish Shack in Plano, one of their favorite places. Percy spotted a gentleman wearing a New Orleans Saints cap. He did not hesitate to holler ‘WHO DAT’? The gentleman hollered back, and a friendship was formed. He was a great cook and when he and Lenora married, she gladly gave him the kitchen. If you looked for him, you would often find him looking at videos of chefs cooking. Lenora affectionately nicknamed him ‘Chef Boyar P’. As his health began to drastically decline and he felt his time here on earth was coming to an end, the Spirit of the Lord gave him a song of comfort that he and Lenora would sing together, ‘Hold to God’s Unchanging Hand’. Percy was preceded in death by his parents, Melvin Kelson, Sr. and Oralee Walker Kelson, and brother, Melvin Kelson, Jr. Those left to cherish precious memories include his loving and devoted wife of almost 16 years, Lenora A. Kelson; son, Jerrid Bryce Kelson, of Oklahoma; daughter, Enjoli Monshel Page, of San Antonio, TX; grandson, August Bryce Kelson, of Oklahoma; mother-in-law, Brenda M. Burns, of New Orleans, LA; brothers, Edward Kelson (Gailynn) and Darrin Kelson (Carolyn); sister, Vanessa Kelson, of New Orleans, LA; goddaughters, Jessica Costa Trammell of New Orleans, LA, and Ariel Malone of Allen, TX; aunt, Bertha Kelson of LaPlace, LA; uncle, Ernest Kelson of New Orleans, LA; and a host of nieces, nephews, other relatives, and friends. In lieu of flowers, memorials may be made directly to Percy's wife, Lenora Kelson.